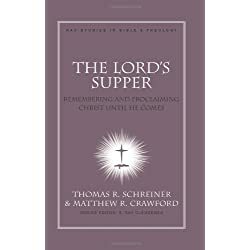 All of my Christian life I have heard sermons that said the communion table or the Lord’s supper was an ordinance of the church that was of a personal nature and that we were to prepare ourselves for the partaking of communion with self-examination and personal remembrance of the sacrifice that Jesus gave on the cross for ourselves. However, is that the deeper meaning of holy communion? You see, all of that focus is self-orientated. Never have I heard a sermon on the importance of communion in the context of the community of believers that meet together. Never have I heard a message speaking to the issue that it is about the local body of Christ and how they are behaving when they come together. This morning I want to share with you a mighty principle on the communion table that will bring healing to troubled churches. Because I just walked my church through this powerful principle of healing at the communion table and there were tears of healing and hugs of reconciliation flowing all over the place. 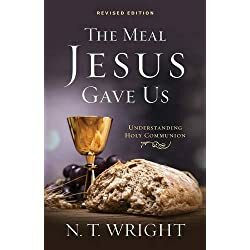 So let me begin by sharing with you the very famous passage on communion and give you a fresh perspective on something that the church has done since the beginning and maybe you will see another aspect of the power of holy communion. 17 But in the following instructions, I cannot praise you. For it sounds as if more harm than good is done when you meet together. 18 First, I hear that there are divisions among you when you meet as a church, and to some extent I believe it. 19 But, of course, there must be divisions among you so that you who have God’s approval will be recognized! 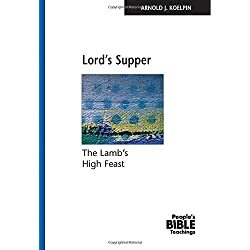 20 When you meet together, you are not really interested in the Lord’s Supper. 21 For some of you hurry to eat your own meal without sharing with others. As a result, some go hungry while others get drunk. 22 What? Don’t you have your own homes for eating and drinking? Or do you really want to disgrace God’s church and shame the poor? What am I supposed to say? Do you want me to praise you? Well, I certainly will not praise you for this!23 For I pass on to you what I received from the Lord himself. On the night when he was betrayed, the Lord Jesus took some bread 24 and gave thanks to God for it. Then he broke it in pieces and said, “This is my body, which is given for you. Do this to remember me.” 25 In the same way, he took the cup of wine after supper, saying, “This cup is the new covenant between God and his people – an agreement confirmed with my blood. Do this to remember me as often as you drink it.” 26 For every time you eat this bread and drink this cup, you are announcing the Lord’s death until he comes again.27 So anyone who eats this bread or drinks this cup of the Lord unworthily is guilty of sinning against the body and blood of the Lord. 28 That is why you should examine yourself before eating the bread and drinking the cup. 29 For if you eat the bread or drink the cup without honoring the body of Christ, you are eating and drinking God’s judgment upon yourself. 30 That is why many of you are weak and sick and some have even died. 31 But if we would examine ourselves, we would not be judged by God in this way. 32 Yet when we are judged by the Lord, we are being disciplined so that we will not be condemned along with the world.33 So, my dear brothers and sisters, when you gather for the Lord’s Supper, wait for each other. 34 If you are really hungry, eat at home so you won’t bring judgment upon yourselves when you meet together. I’ll give you instructions about the other matters after I arrive. I believe that the blood of Jesus forgives sins. I believe that the 39 stripes upon His back paid for our healing. However, I think people miss the real healing power of the communion table by being self-focused on only what it can do for them personally. They focus on their personal forgiveness. They focus on their personal healing but entirely miss the power of communion to heal a hurting local body of Christ. Notice these words from Paul in this passage. For it sounds as if more harm than good is done when you meet together. When you meet together, you are not really interested in the Lord’s Supper. So, my dear brothers and sisters, when you gather for the Lord’s Supper, wait for each other. Nowhere in the context of these statements is there one reference to the personal individual. It all has to do with the way people are behaving with one another. It has to do with community life. The real healing power of the holy communion table is its ability to bring forgiveness and reconciliation to brothers and sisters that are divided and estranged from one another. When you get your focus off of self and onto the selflessness of Jesus, dividing walls crumble. The people that you are bent out of shape with are the people that Jesus died for. They are the ones that the blood was shed for. They are the ones that He took those 39 stripes for. If you come to the communion table with unfinished business with your brother or sister, then you do not remember what was done for them. You do not remember the sacrifice of Jesus. You are not doing it in remembrance of Him. You are not behaving the same way that He acted. He laid it all down for them, and we are to do the same out of remembrance for what He did. The purpose of communion is to remember what Jesus did for all of us. The next time you take communion, think about whether or not you are rightly discerning the body of Christ. Think about what does holy communion mean. That means whether or not you are honoring all of those that Jesus died for. If not, then it is time to take care of business before you partake of the Lord’s Supper. Moreover, that my friends is the real power of Holy Communion.